Mr. Johnson currently serves as Senior Vice President in the Northeastern US region at Generational Equity, and works directly with private middle-market business owners in developing and executing exit strategies. Mr. Johnson’s responsibilities include preparing marketing materials, as well as managing the marketing and due diligence processes to facilitate deal closings. Prior to this role, Mr. Johnson served as Senior Valuation Manager in Generational Equity’s Corporate Valuation Group where he managed a team of associates who performed valuation analyses of client businesses and prepared offering memorandums for use in the M&A process of marketing those businesses to potential buyers. 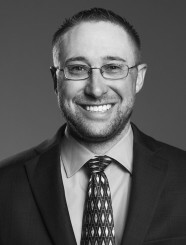 Mr. Johnson holds a Bachelor of Business Administration degree in Applied Economics and Finance from Easter New Mexico University, and an MBA with a concentration in Economics from the University of Texas at El Paso.